We have a fully certified in office operating suite with board certified anesthesiologists that allows us to offer a breast augmentation package for $5950 ALL INCLUSIVE for silicone gel implants. 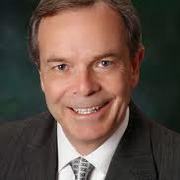 Past Chief of Plastic Surgery, Johns Hopkins/Suburban Hospital, Past President National Capital Society of Plastic Surgeons-Washington, DC, Multiple Top Doctor Lists, Board Certified Plastic Surgery, In practice since 1991. Just upload three standard pictures today to see a 3D simulation during your next appointment with Franklin Richards. Before the consultation, you can visualize your current 3D body or face and, after the consultation, get access to see your new look from home so you can share with friends and make a better-informed decision. After the consultation, Franklin Richards may let you access your "new you" from home with your own Crisalix account. This will allow you to share it with your family and friends or anyone you would like to get their advice.